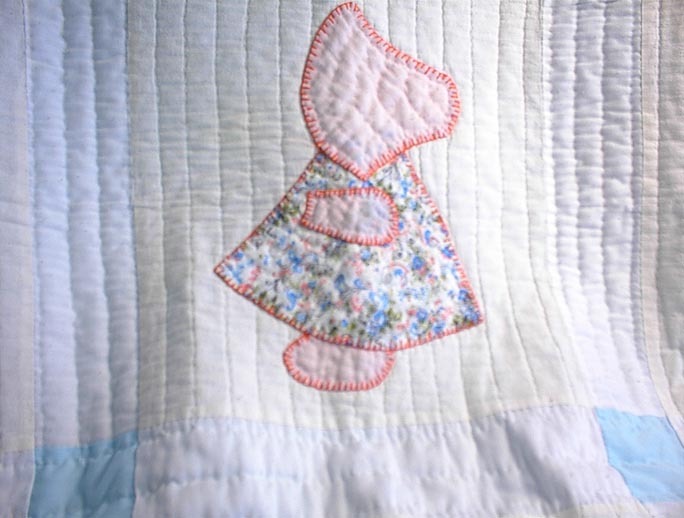 This lovely hand-stitched baby quilt features the Little Dutch Girl design fashioned from squares of muslin and broadcloth. 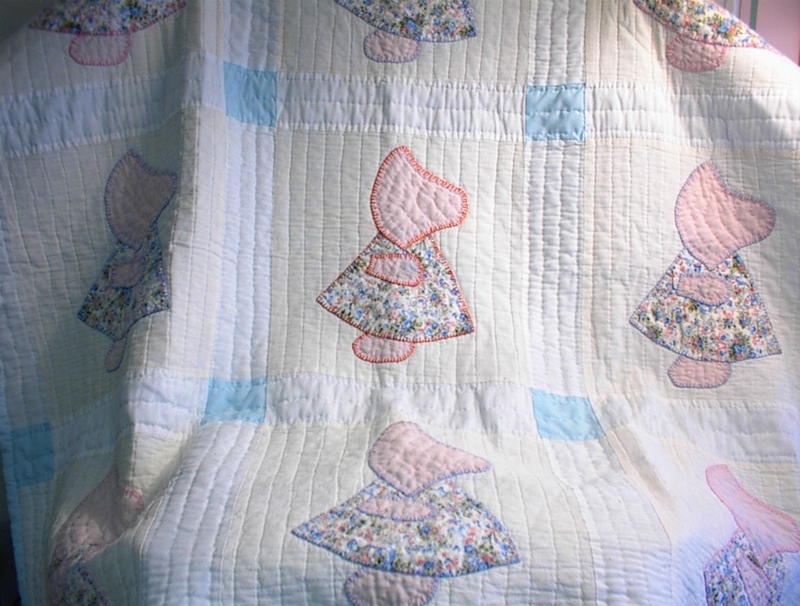 Each of the nine hand-appliquéd little girls is in shades of pale blue, pink and peach and is displayed on a background of cream. Surrounding the squares are white strips accented by light blue squares. The edge and back are made of a beautiful light blue.